The best agents examine their briefs before a harrowing mission. Max waits until his briefs need to be washed. He wakes up this morning hungry for bacon and eggs. Instead, he’s served an aromatic pile of opportunity. The prestigious record he set this year might be the culprit: he's lost the most partners to intergalactic predators. His new partner, Miranda, is considering a career change, which may help her live longer. Sometimes your greatest enemy isn't the forty foot alien chewing your arm, but you have to start somewhere. 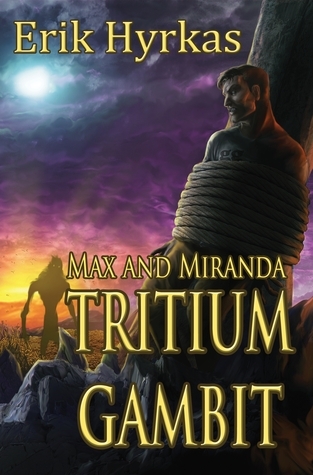 Tritium Gambit by Erik Hyrkas is a science fiction tale featuring Intergalactic secret service agents Max and Miranda. The Intergalactic Secret Service is here to protect the unknowing and unaware humans from aliens. Each having lost or incapacitated their previous partners, Max and Miranda are thrown together and ordered up to Minnesota to investigate a ping - a potential problem with aliens. 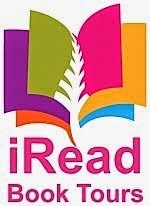 The chapters alternate between each character's point of view. Tritium Gambit could be described as: part irreverent sci-fi spoof; part tribute to sci fi novels, TV shows, and movies; part Hitchhiker's Guide to the Galaxy (Max carries his towel); and part innuendo and bad puns. It really was all non-stop fun and action. Even as I chuckled and groaned over their dialogue and continuous escapes from danger during their adventures, I was compulsively reading to see what happened next. It was sort of like being the insider to a great spoof or perhaps watching a bad movie with a funny friend, you know, the one who can quote dialogue from other movies as the action rolls along. This isn't doing the book justice because it really became funnier as it went along, especially if you caught the many hints and references to other pop culture or sci fi materials. I about died laughing from one scene toward the end of the book featuring Max wearing a too-small T-shirt with a pop-culture "team" saying on it.